I've mentioned previously that I am incredibly 'fair' skinned (sickly, milky white is most accurate) and I love nothing more than adding a little colour to my washed out complexion. However, it's important that I do this safely. With age, I've realised how damaging the sun can be to your skin when abused and how hard it is for me to tan without burning (not to mention I live in England so the sun seldom makes an appearance anyway). I find that there's a plethora of self tanners for the body, that work really well but find it more of a struggle for the face - without clogging pores & smelling like biscuits. I recently stumbled upon Hylamide Booster Glow Serum in Boots, whilst it was on offer. 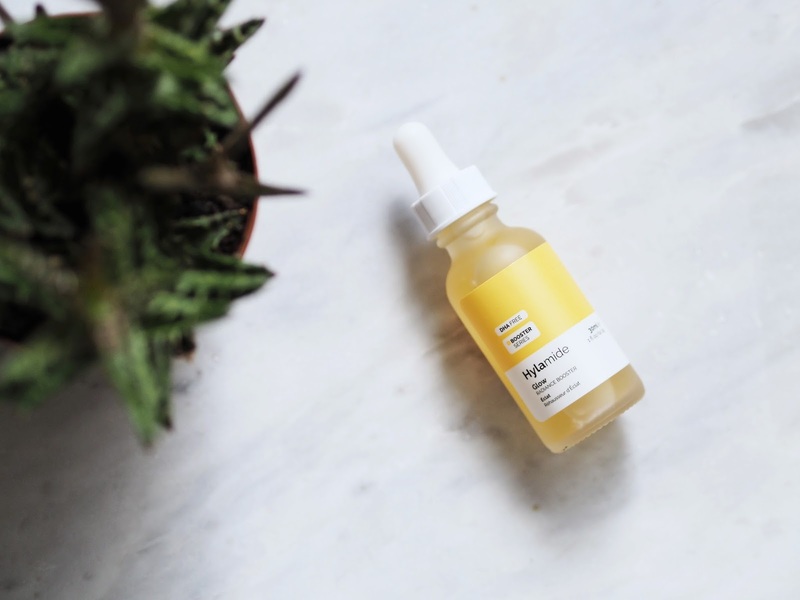 Hylamide is under the Deceim umbrella, which is a skincare powerhouse that has taken the industry by storm as of late. The serum is DHA free, so the tanning agent actually comes from a keto-sugar, which reacts with the amino-acids in the skin, which is what makes your skin look tan. Fancy. Not only that, it's also packed with peptides, so it really does brighten the skin. I do love the idea of it contributing to my skincare, rather than it just being a plain, self tanner. It's important to note that the tan builds up within a couple of days and is incredibly natural looking. It's a very lightweight serum which I apply after cleanser and before moisturiser. I use approximately 5 drops for the whole face and ensure I wash my hands after application as you could still end up with Wotsit fingers after several days of use. 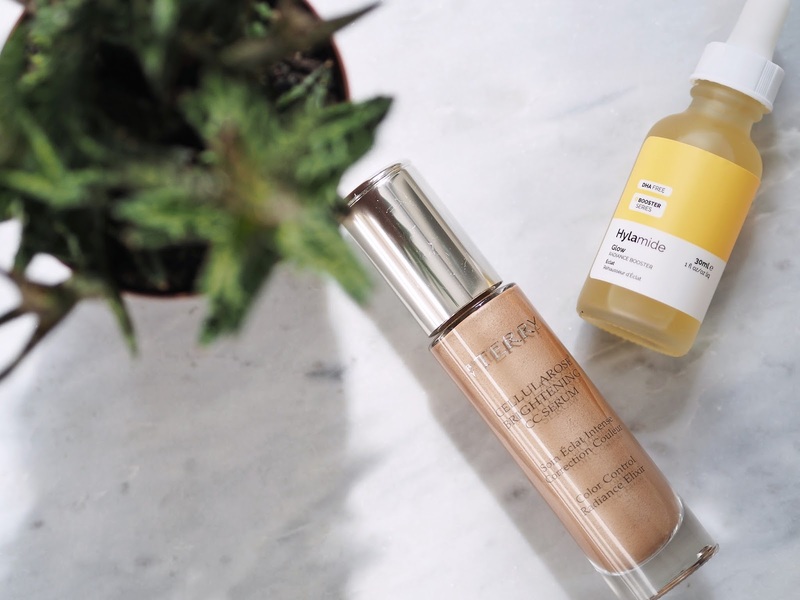 I've also been using a a skincare/make up hybrid in the form of the much talked about By Terry Cellularose Brightening CC Lumi-Serum in Sunny Flash. This is a sheer fluid that I would apply before foundation (you can also mix it with foundation or wear alone). It does really pack a punch in giving warmth & glow to the skin. This particular shade is brilliant if you do tan and if your face is lighter than your neck & body, it just helps blend everything in nicely. I wouldn't recommend the shade Sunny Flash if you are fair & don't tan as it will look far too noticeable & dark. You need the tiniest amount but it really does lift & hydrate the skin as well as adding some extra warmth to the tone of the skin. It also has the signature, delicate Rose scent that all By Terry products carry, which I personally love but I know some don't. Now, this bottle comes in a whopping £61 - I used my N.Dulge card and a Space NK promotion - so I would suggest trying to do the same. That being said, this bottle seems to be lasting a lifetime so you do get a little bang for your buck. The lighter mornings & lighter nights are really putting a spring in my step and in my skincare routine. I'd love to hear what you're all loving now that we've left winter well and truly behind.